In case you missed it yesterday, we ran a preview of the new “Reel Love: The Complete Collection” from Owen Michael Johnson and Fantagraphics. – Kicking off, Sean Rubin is launching a sequel to his acclaimed 2017 graphic novel “Bolivar” at BOOM! Studios imprint Archaia, called “Bolivar Eats New York: A Discovery Adventure.” The sequel follows the dinosaur Bolivar, and his neighbor Sybil, as they eat their way through New York’s eclectic neighborhoods filled with food from around the world. The first “Bolivar” OGN garnered much acclaim, earning Eisner and Ringo nominations and praise from bodies like NPR. The sequel will be on shelves in November 2019. – BOOM! Studios also revealed yesterday that they have promoted four of their employees to new positions. Stephanie Hocutt has been promoted from Social Media Coordinator to Digital Marketing Lead, Jose Meza has been promoted to Live Events Lead, Sophie Philips-Roberts will move from Assistant Editor to Associate Editor, and finally, Direct Market Representative Morgan Perry is now the new Retail Sales Coordinator. Congratulations to all four! 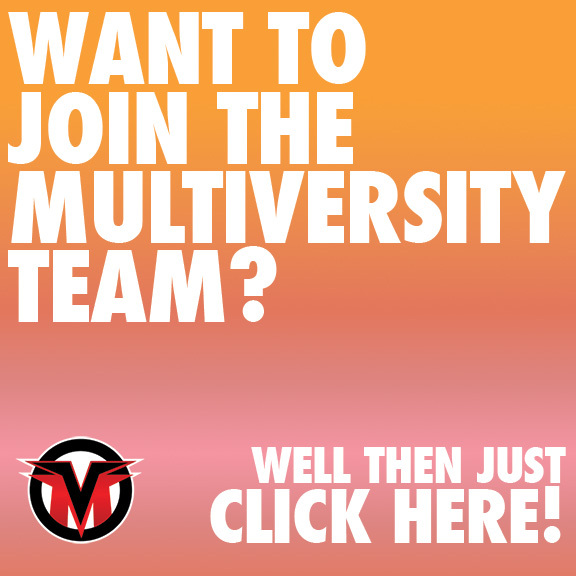 – In more hiring news, former Marvel Comics editor and Unikrn Editor-in-Chief Heather Antos has joined Valiant Entertainment as an editor. The Beat revealed that Antos will take over editing Vita Ayala, Raúl Allén, and Patricia Martín’s newly launched ongoing “Livewire,” and will “also develop a stable of her own titles.” Antos left Marvel in early 2018 for Unikrn and has also been freelance editing a number of Image books like “Redlands” and “Injection.” You can check out an interview about her move here. – Kieron Gillen revealed in his newsletter yesterday that he will be leaving the main “Star Wars” title this summer after issue #67. He wrote: “I have three issues left to write in ‘The Scourging of Shu-Torun.’ That’s issue 67, the end of my story, and I’ll be off. No present plans to write anything else in Star Wars – I suspect I’ve said all I’ve wanted to about these characters in comics. At least in this period, anyway.” Gillen took over the main “Star Wars” book from Jason Aaron with #38 back in late 2017. – The Vision and Scarlet Witch, one of the first Marvel Cinematic Universe shows coming to the Disney+ streaming service, now has a writer and showrunner. Jac Schaeffer, one of the writers behind the upcoming Captain Marvel and Black Widow movies will pen the pilot and act as an executive producer. It is expected that Paul Bettany and Elizabeth Olsen will reprise their roles as the title characters. No word yet on if the show will debut when Disney+ launches later this year. – In more comic news, First Second revealed the covers for two of its upcoming graphic novels on Twitter. The first was “Last Pick: Born to Run,” the second book in Jason Walz’s “Last Pick” trilogy. That book hits shelves on October 8, 2019. The second was the third book in Mike Lawrence’s “Star Scouts” series, called “Star Scouts: The Invasion of the Scuttlebots,” which is due out November 5, 2019. You can check out both covers here and here. – Creator Becky Cloonan (“Southern Cross,” “The Punisher”) teased on Twitter that she has wrapped inks on the first full comic she’s drawn in years, which has yet to be announced. Cloonan also revealed the book is written by creator Michael W Conrad. More information as it comes. – In casting news, artist/model Lauren Tsai will be joining the cast of FX’s Legion for its third season in the role of Switch. Her character is described as “a young mutant whose secret ability serves as the key to executing David Haller’s plan.” This will mark Tsai’s debut on television. Legion is based on the character of the same name created by Chris Claremont and Bill Sienkiewicz and will return for its third season later this year. – Tickets went on sale yesterday for a Stan Lee tribute event event at the TCL Chinese Theatre in Hollywood on January 30th called Excelsior! A Stan Lee Celebration. The event is being put on by Kevin Smith, investment company Legion M, brand company Agents of Mayhem, and Lee’s POW! Entertainment, with all proceeds benefiting The Hero Initiative. The event will consist of a public exhibit and celebration outside, and a ticket only celebration on the inside with the likes of Smith, Mark Hamill, Rob Liefeld and others celebrating Lee’s life and legacy. – The Overseas Press Club of America has changed the name of the Thomas Nast Award for Best Cartoons on International Affairs after reflecting on many of Nast’s abhorrent depictions of immigrants, Irish, and Catholics during the late 19th century. Nast is often considered the “Father of the Editorial Cartoon” and is credited with creating the Republican Party elephant and the now popular image of Santa Claus. The Ancient Order of Hibernians praised the OPC’s decision to rename their top editiorial cartoon award.